Every fall, we participate in a chili cook-off competition! It’s always a lot of fun to have our family and friends bring their own chili creation and sample a bit of everyone’s chili and see how it turned out. We love chili in our house and know that there are so many different ways you can prepare and make chili. 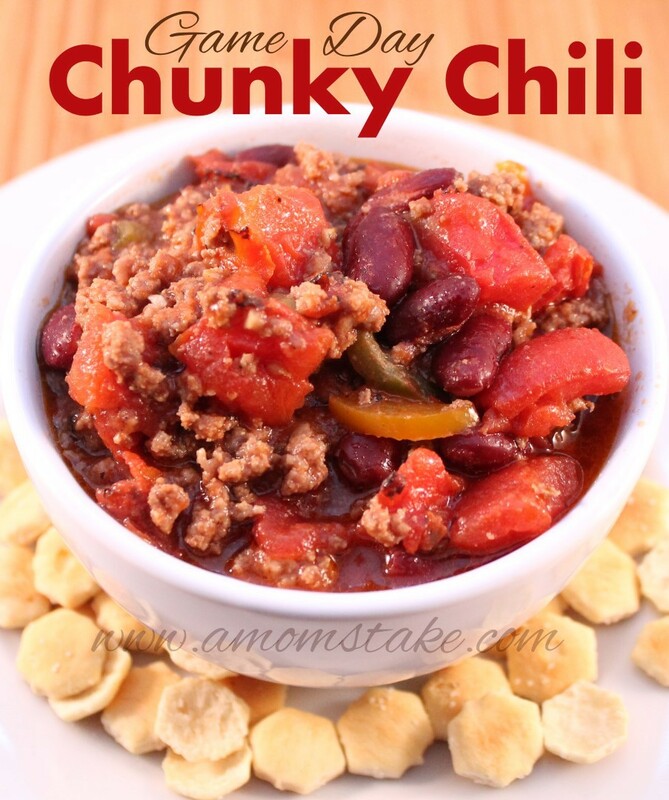 Let me show you how to make chili with an easy recipe for an extra chunky chili! Then, I’ll share two other favorite chili recipes to give you more inspiration. 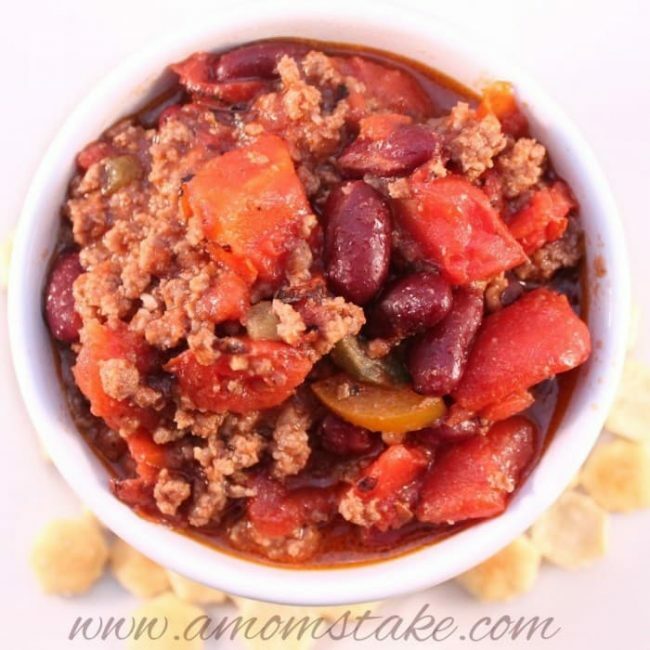 This chili recipe is fantastic to warm you up on a cool fall day and perfect for sharing with the family while watching the big game! You will start by browning one pound of lean ground beef in a large pot. 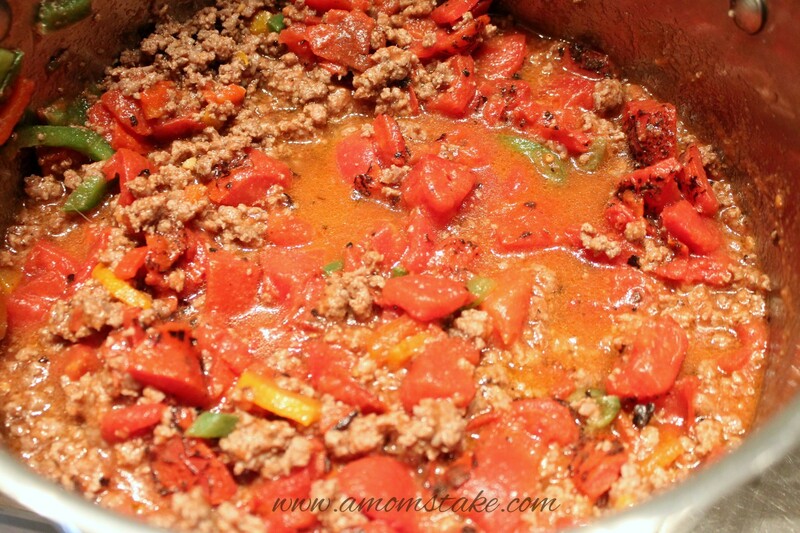 When your meat is cooked through, you toss in your chopped ingredients including bell peppers, onions, jalapenos. Then, add in your canned tomatoes and kidney beans. You will let your chili simmer on a low heat for 30 minutes and then it’s ready to eat. From these basic building blocks, you can come up with your own dream chili recipes by just experimenting and adding in your favorite ingredients. Typically, you’ll start by cooking your meat, add in your veggies and beans, and then let all your ingredients simmer together to make your chili recipe flavors to all come together. This extra chunky chili recipe will leave you full and satisfied. It's a favorite recipe for game day! In a large pot, brown the lean ground beef until no longer pink. Over medium heat, add in bell peppers, onion, jalapenos and spices and stir well. Reduce heat to low and add in fire roasted tomatoes and kidney beans. Allow to simmer for 30 minutes. Can be served with grated cheese, sour cream, green onions and crackers if desired. Next, head over and grab our yummy chicken drumsticks recipe!